For all discussion relating to private or consignment orders. I usually go straight to the forum so I didn't see yesterday on the bartowel home page an announcement about a new bartowel affiliated import agency. Very exciting if it can supplement the great stuff esprit and keep6 bring/brought into the province! GtownRandy wrote: I usually go straight to the forum so I didn't see yesterday on the bartowel home page an announcement about a new bartowel affiliated import agency. Very exciting if it can supplement the great stuff esprit and keep6 bring/brought into the province! I was very excited to see their recent announcement and to see that A La Fut will be one of their clients. The agency's been around for at least a year, so good to see some movement. 2017 will be an interesting year. That's for certain. 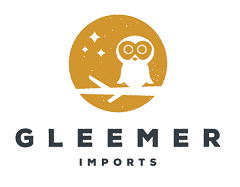 Visit us at http://www.gleemer.ca or follow Gleemer Imports on Facebook, Instagram and Twitter! I was meaning to post on the forum about this, I just did a home page announcement first. I'm excited about this - for those who have been around the forum a long time know I started an import agency many years ago and brought in Garrison for a while. It was really meant to help educate myself about the business and expose some of the challenges about what it's like to be an importer in the province. This is the 're-imagination' of that, as I'd like to make an importing agency that is much more consumer friendly & focused. That's not to say that others aren't, but I feel like there's an opportunity to have as much of a connection with the drinking public as with partner brewers. It's a bit like this forum itself. So, I welcome feedback for what you'd like to see here, and most importantly if you're travelling the world trying beers and find something great, pass the lead onto me. We'll see what we can do to help bring it in. Drop me a line anytime at cass@santamonicayachtclub.com!